The screen is a 640×480 5.0″ LED-backlit display. This provides 1:1 native pixel mapping on the original versions of Myst, Riven & Exile. There’s a matching 4-wire resistive glass touch-screen overlaid on top as the main input method, which updates at 160 samples/second with a touch resolution of 2048×2048. The power supply is a 3-cell Lithium-Ion battery capable of outputting 60A of current (but the book uses nowhere near that much). 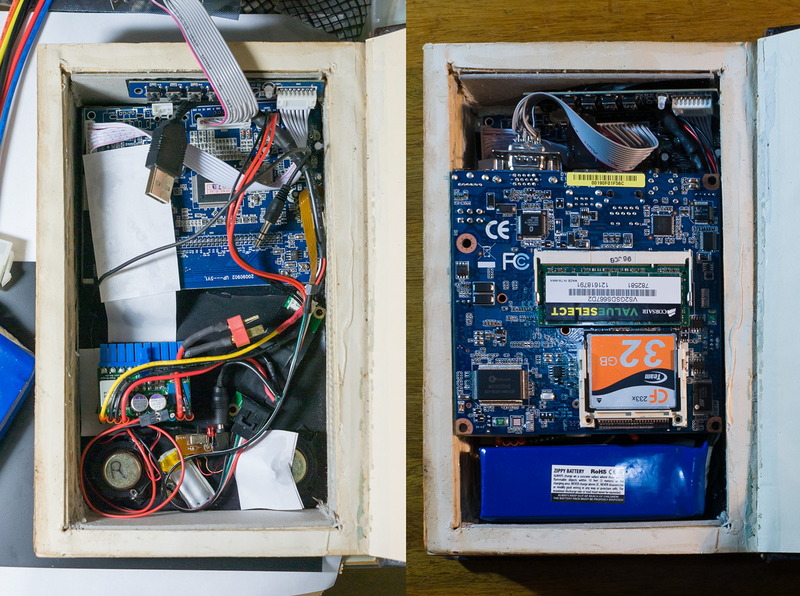 The power supply converts its voltage to the 12V & 5V required by the computer. Power consumption is around 12 watts & the battery life is around 1.5 to 2 hours. The CPU is an Intel Z530P running at 1.6GHz, and the GPU is an Intel GMA500 chipset capable of running DirectX 9.0C graphics. The system has 1GB of RAM (less RAM = less power consumption & heat). The system is entirely passively cooled and waste heat conducts out through the book. The CPU and GPU hover at 48’C. The only way to deal with heat in this book is to just avoid creating it in the first place, so all the components are ultra-low power. The Operating System (Windows XP) & all software is loaded directly from a 32GB CompactFlash card that reads at 22MB/s. 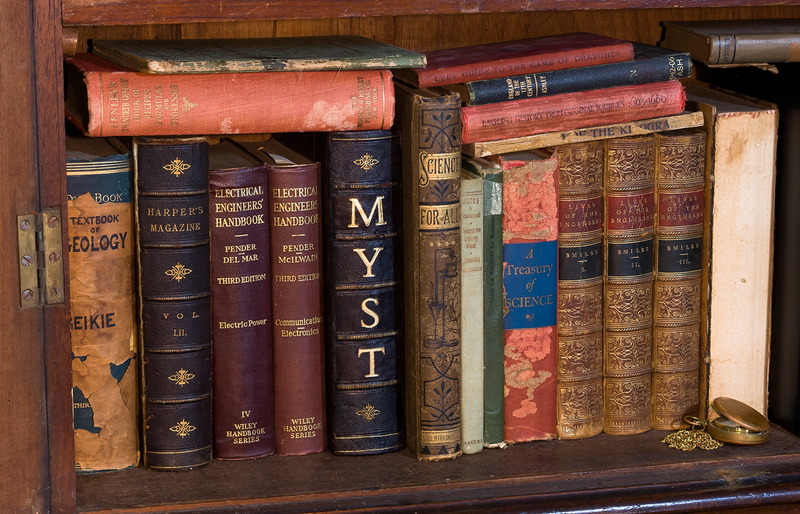 Included software is Myst Masterpiece Edition, realMyst, Riven DVD edition, Riven Elementary, Myst III: Exile DVD edition, Myst IV: Revelation, Uru: Ages Beyond Myst & The Path of the Shell, Myst V: End of Ages, The Manhole Masterpiece Edition and Crowthistle. Bonuses are a copy of the Book of Atrus e-book, plus shortcut copies of some extracted Myst Island flyby videos/linking panel images. Also, when you first turn on the book a video automatically plays featuring Atrus writing at his desk, then he looks up at you & mouths the words “who the devil are you?”. But Mike Ando’s attention to detail didn’t just end on the outside of the book. Mike went so far as to match the color of the pages when the book is flipped open in the beginning and end of the games. 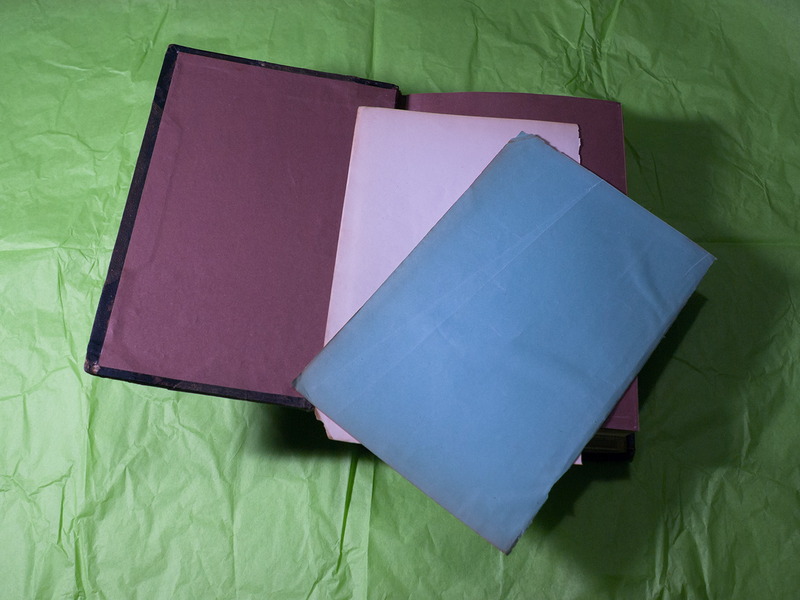 Also included are some additional props – a blank white page and a blank blue page. These were sourced from additional copies of the exact same book Cyan used as a texture reference, meaning they’re as “proper” as you can get. 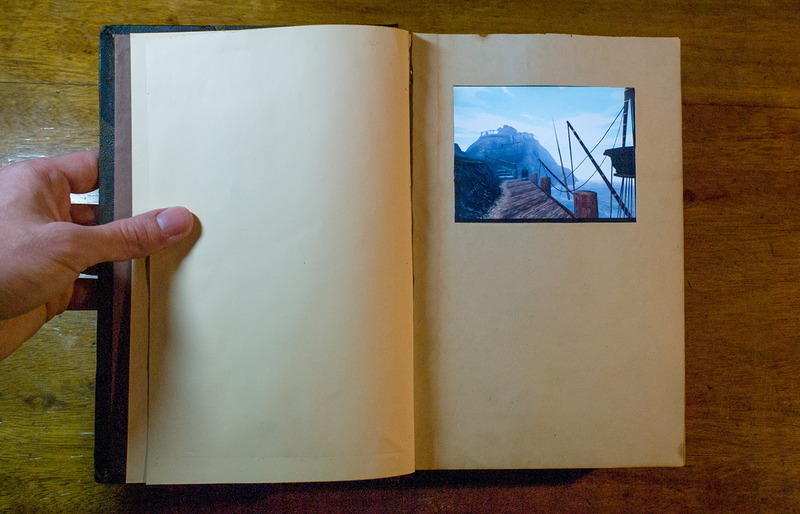 With the book’s red interior lining, this makes a complete set of the three page colours used in Myst. They are their original hues & have not been dyed, so the blue is slightly more turquoise & the red is slightly more brown than they appear in the game. You can’t be too picky with original 135-year-old paper hues. In the end it’s a PC mod that will live up there in the halls of top rated mods. 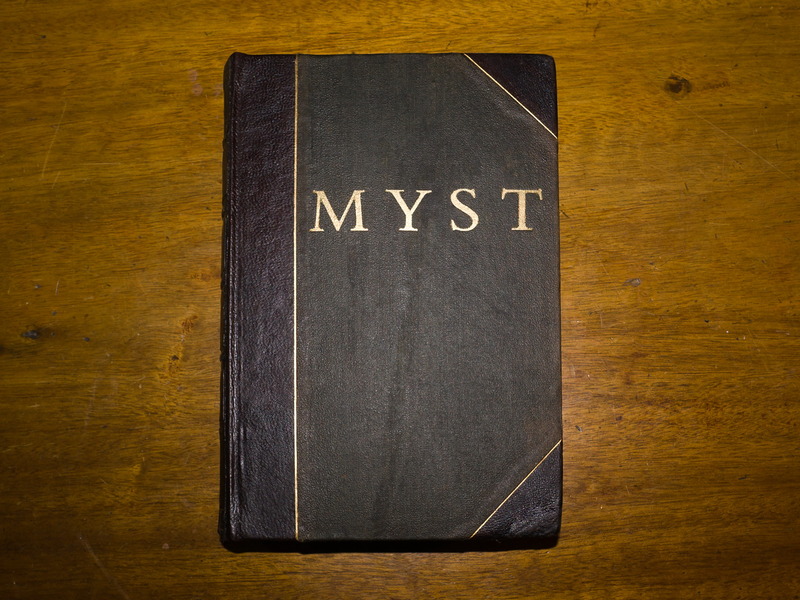 It blends so perfectly into classic books it’s well suited to the classic gaming title Myst has garnered. Below is a video showing off the book in action with fully working touch screen interface.